The Verdict: We've seen plenty of case-like backup batteries for the iPhone 3G the past few months, but Fastmac's iV could be the best in its class due to all the its features. 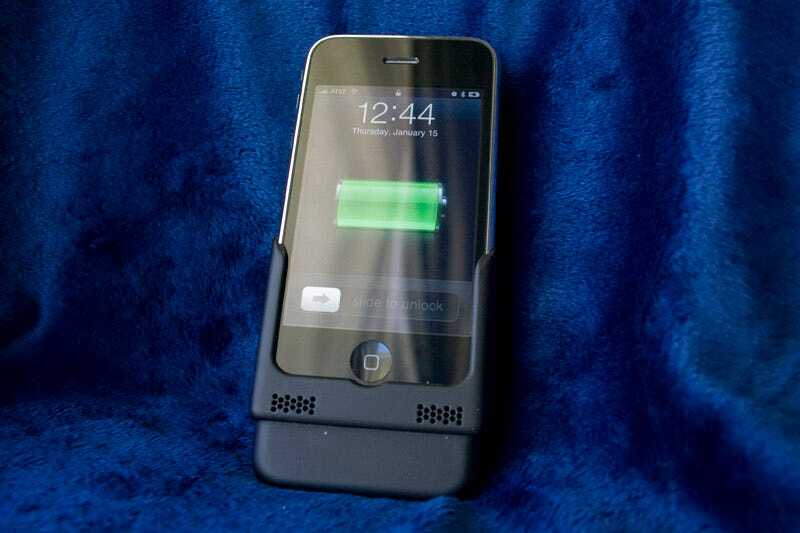 Its 3100mAh battery can charge the phone about five times from 20% capacity to 80% capacity, and in absolute terms, it's the most amount of juice in any backup battery iPhone case out there now. The USB port, at the bottom, allows you to charge an extra device on the road (maybe your Bluetooth headset) at the same time as the iPhone. The iV's flashlight is bright, as in you really shouldn't look at it straight on. It's not bright enough to illuminate an entire room, but you can definitely find your keys with it. And the fact that the bottom actually fits into iPod/iPhone docks is an added bonus. Our biggest complaint is the iV's size. In order to house a battery, USB charging, a flashlight and also somewhat envelop the iPhone, Fastmac didn't have much room to condense it down. It's more than twice as thick as an iPhone, and is slightly taller. You probably don't want to leave this docked all the time, but only take it out for a refresh charge when your iPhone's battery is running low.